Promoting acceptance for all students is one benefit of inclusion classrooms. 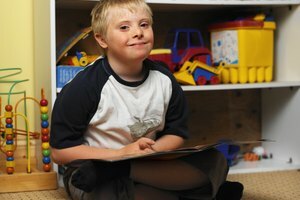 Inclusion refers to a type of classroom where regular education and special education students are taught in the same room. 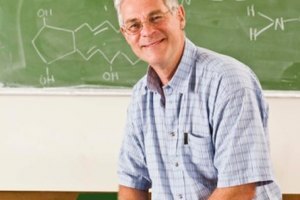 Usually, there is a general education and a special education teacher who use a combination of whole-class and small-group instruction to teach all students. This type of classroom setting provides opportunities for socialization and peer tutoring, creates a positive school environment and provides additional support for all students. Learning to work with all types of people and appreciate diversity is an important skill for all children to learn. Participating in a regular classroom allows special education students to socialize with their non-disabled peers on a daily basis. For regular students, exposure to students with disabilities may help them become more accepting and compassionate toward others. Even students who are academically advanced can benefit from this type of classroom setting. Oftentimes, students who work through material faster can become helpers or tutors and assist students who are struggling. Peer tutoring has many benefits, according to the National Education Association. Increased academic achievement, a better understanding of the material, increased motivation, improved peer relationships and social development are just a few of the benefits of using peer tutoring. 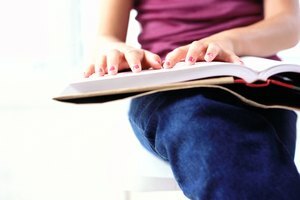 The website StopBullying.gov claims that one way to create a safe and positive school environment is to include, respect and welcome all students. Isolating disabled students in a separate classroom for a majority of the day makes them feel different and left out, and teaches students that it is acceptable to treat people differently. A separate education is not an equal education, and using inclusive classrooms shows students that all are welcome, valued and can be successful. Many special education classrooms have two teachers who co-teach. 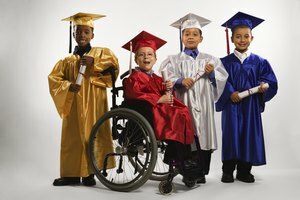 Some students may struggle academically, but by law, fail to qualify for special education services. These students especially may benefit from the additional teacher in the classroom, as the special education teacher does not limit herself to helping only a few students, but assists anyone who needs additional attention. Houston area native Marie Anderson began writing education articles in 2013. She holds a Bachelor of Science in exercise and sports science and a Master of Science in education administration. She has seven years of teaching and coaching experience within the Texas public school system. What Is an Inclusive Learning Environment? Anderson, Marie. "The Advantages of Inclusion in Schools." Synonym, https://classroom.synonym.com/advantages-inclusion-schools-3805.html. Accessed 25 April 2019. Do Special Education Students Fare Better in Pull-Outs or Full Inclusion Classes?